When you're relaxing in your college dorm room with friends, you obviously don't want to listen to music through your earbuds. You also don't want to play the music through your tablet's or smartphone's small speaker. You don't need to bring a huge set up for a sound system to your college dorm room in order to have quality sound for your music in your college dorm room. That will take up a lot of space in your college dorm room for other dorm essentials that you need to have in college with you. For a compact speaker with high quality sound, add our Bluetooth Pill Speaker to your college supplies. 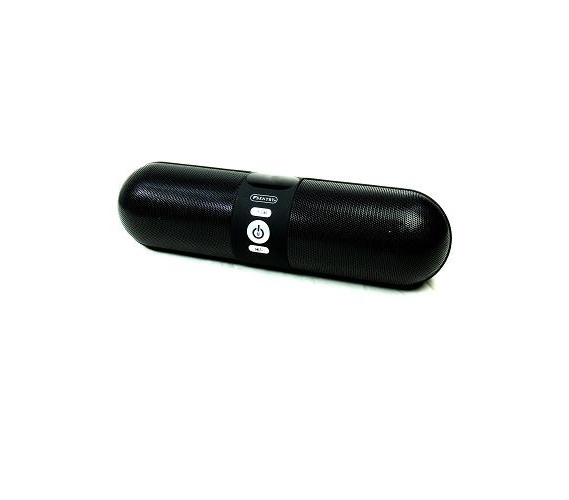 Our Bluetooth Pill Speaker is a pretty awesome dorm necessity for playing music in your college dorm room. It has high quality sound but it is also super compact so that it takes up barely any space on your college dorm desk. The lightweight, compact nature of this college supplies product makes it portable so you can listen to music while relaxing or playing games with friends in the park. This dorm speaker has a rechargeable battery that can be charged with a USB cable and is also Bluetooth Capable so you can play your music right off of your smartphone. There is also the option to play music through your iPod or other MP3 player or tablet through the Aux Input. Using the Bluetooth function of this dorm necessity and don't want to dig out your smartphone to change the song? No problem! This dorm essential has control buttons right on the speaker so you can easily play, pause, or skip songs! Don't let a large sound system take up space in your college dorm room - add a dorm space saver speaker like our Bluetooth Pill Speaker that also adds to your dorm room decor with a sleek black design!